Finding the perfect rocker for a nursery can be tough, so we’ve found another option to add to your list — a vintage rocker from the 1940s that will complete the unique look to any baby’s space. The timeless look of this rocker and sturdy craftsmanship make it hard to pass up — and your back will be thanking you those nights awake, rocking baby to sleep. The 1940s saw massive changes to the world alike, a truly remarkable decade in history. This European relic has withstood the test of time to bring a bit of history to the modern era, your very own collectible. It would be a wonderfully unique addition to any home, and stylish to boot! 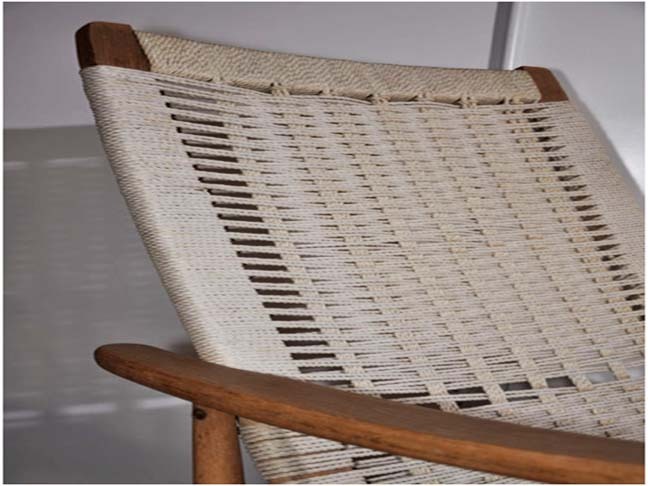 The rocker is make from teak wood with white intertwined rope, expertly crafted in Yugoslavia. It exemplifies the sophisticated style of the 1940s, with elegant curved lines and simple patterned weaving. It measures 37″ high and 32″ deep for a comfortable, roomy sitting space. The rope on the seat and back are still tight, kept intact after decades of age. Add your own memories to this unique rocker and give your nursery a classic vintage feel! 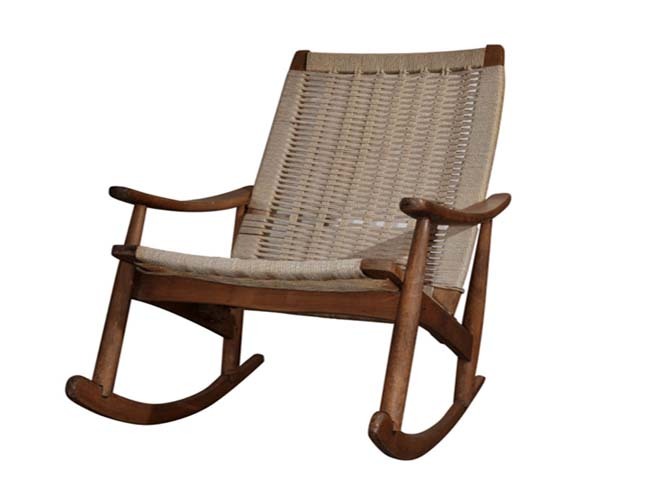 The Stately Teak and Rope Rocker is sold through 1stDibs for antique dealer Nickey Kehoe; visit 1stDibs for ordering and pricing details.